From cloud management companies to Software as a Service integrators, find out which new ventures made the cut in our list of the 10 best cloud startups. 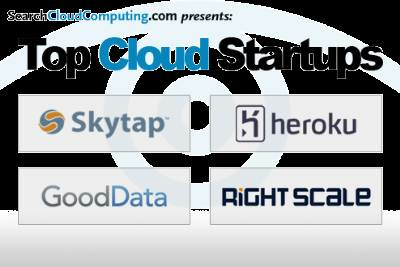 This top 10 list of the most promising startups in cloud computing cuts across various disciplines in the cloud, including application development, infrastructure management, subscription billing and business intelligence as a service, to name a few. Because the cloud market is still so new and headed in so many different directions, we decided to give you a broad view of what we believe to be some of the most interesting technologies across the field. Later on, we might drill into Infrastructure as a Service (IaaS), Software as a Service (SaaS), Platform as a Service (PaaS) and private cloud in separate lists. The biggest surprise for us in regards to this list isn't who's on it, but who is not. Security fears still dominate the debate, but we haven't seen a single vendor step up to the plate and take on some of the complex challenges, such as federated identity management in the cloud from any device and any location. Although strides have been made in areas like single sign-on, it hasn't been enough. There's also a distinct lack of well-funded companies looking at performance analysis and benchmarking tools for the cloud, although plenty are doing it out of their bedrooms. That won't work for enterprise IT shops. While the venture capitalists scratch their heads figuring out what to fund next, here's our list of companies already making the cut. If you find yourself disagreeing with any of our choices, let us know! Questions, comments and criticisms are all accepted.